To say it has been a difficult year for the steel workers of Neath and Port Talbot would be an understatement. The challenge of competing in a global market, the absence of anti-dumping tariffs, the lifting of the lesser-duty rate and Brexit, all conspire to create a world of uncertainty and fear. Of the 1,050 jobs lost in the UK steel industry since the year began, 750 of them have been lost from Port Talbot. This was on top of the 400 jobs that were lost in 2014. Steel and the steel industry are essential to Wales and its economy, which is particularly the case for my constituency and the people of Neath. The notion that it doesn’t have a future is simply unthinkable. 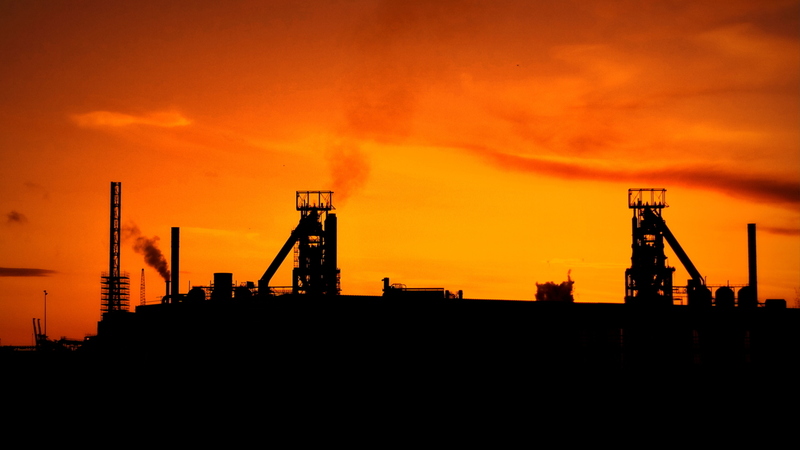 There 575 businesses which make up the steel industry, employing 31,000 people across the UK. Over 50% of these jobs are based in Yorkshire and Humberside, or Wales. However, between 1997 and 2014, iron production in Wales fell by 3,210 kilo-tonnes or over 50%. Steel production has fallen by 25% during the past 40 years. Nevertheless, last year was a record-breaking one for Port Talbot, with the plant producing 3.2 million tonnes of steel. Decline and uncertainty have been things that our steelworkers have had to deal with for many years, and being as robust as the steel they make, they’ve bounced back every time, working through it all to keep our Country supplied with the finest steel in the world. But this uncertainty has taken on a new form in the shape of Brexit. The European Union accounts for over 40% of direct British Steel sales, and more when the exports of British manufacturers are considered. Tariffs on British Steel post-Brexit or an elongated trade agreement may signal the death knell of an industry already fighting to compete on a level global playing field. I remind Members once more, that the fore-runner of the European Union – the European Coal and Steel Community – was set up to not only to cement peace but also help economic growth by pooling resources and preventing unnecessary competition. Its architects must be astonished at the current state of affairs and the UK Government’s inability to work with our European partners to prevent unnecessary competition from across the world. The latest industrial revolution taking place in China may well be the biggest of all and in 2015 they produced 804 million tonnes of steel, or 50% of the total worldwide output. The UK produced 11 million tonnes during the same year. It is not a matter of IF there will be implications on the UK steel industry as a result of Brexit, but what will be the extent of these implications. If the Government doesn’t do all it can, exports will be hit hard, output will be slashed, jobs will be lost and communities will be forsaken. The picture painted may be bleak in comparison to a golden past, but I firmly believe that Steel in Wales and the UK has a strong future. A future for any industry, though, is all about adapting to change and turning threats into opportunities. Quite clearly, the future of the steel industry is about innovation. Technological innovation and innovation is in its business model. Beyond the heavy end of steel production that we all know so well, we also have organisations who innovate and produce hi-tech products that are changing the way we view steel. Indeed, Neath Port Talbot is home to a company called SPECIFIC, which uses coated steel to make world-leading, innovative technologies that produce, store and release energy. SPECIFIC are hugely concerned about leaving Europe, not least because of the essential funding they’ve received, without which they probably would not exist, but also because of the potential loss of a market where they could promote and sell their products. It is this level of innovation that needs to be harnessed and nurtured if we want to see a future for our steel industry. An innovative product is only one part of the story, however, and we must also use the current crisis as an opportunity to change the way we do business so that a structure can be established which would protect the steel industry for many years to come. I fully support a Management Workforce buyout at Port Talbot, and perhaps elsewhere, which could be set up in the shape of a cooperative, and take advantage of the benefits of a tripartite model of delivery that would also involve investment from the public and private sectors. There are many such examples across Wales and the UK, such as Tower Colliery, John Lewis, Welsh Water and hundreds of Credit Unions. Welsh Water’s slogan is “For Wales, Not For Profit”, and I urge us to apply the same principle to our other key industries, which for Wales, means Steel. Cooperation, consensus and community are notions that are not only the founding principles of cooperatives but also the Labour Party and it is on these shared values that figures from across the labour movement have led the development of organisations which have anchored communities during difficult times and helped create a buffer against global economic shifts. Let us consider the possibility of doing such in communities like Neath, Port Talbot and elsewhere, and I urge the UK Government to play its part in this endeavor.